On Thursday night, just over a month after the TCDSB heard about a student with a rare, genetic heart disease, the board agreed to supply every one of their 202 schools with AEDs. All Toronto Catholic District School Board (TCDSB) schools will have defibrillators by the end of the 2019 school year, thanks to one mom. 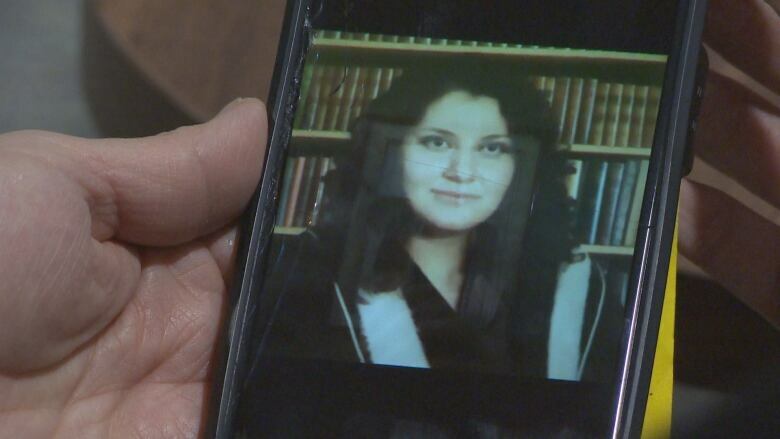 "The only thing I can do right now to keep my daughter safe while I'm at work is to have the defibrillator in the school," Veronica Olmedo told CBC Toronto moments before the vote took place at a board meeting on Thursday evening. Olmedo's oldest daughter, Krystyn, 22, died in August 2017 of an undetected, rare, genetic heart disease. The last thing Olmedo remembers her daughter saying to her was: "Goodnight mom, I'll see you tomorrow." "She kissed me on the forehead, went to bed and never woke up," Olmedo said. Since then, the family has found out both Olmedo and her youngest daughter, Alizia, have the same condition. 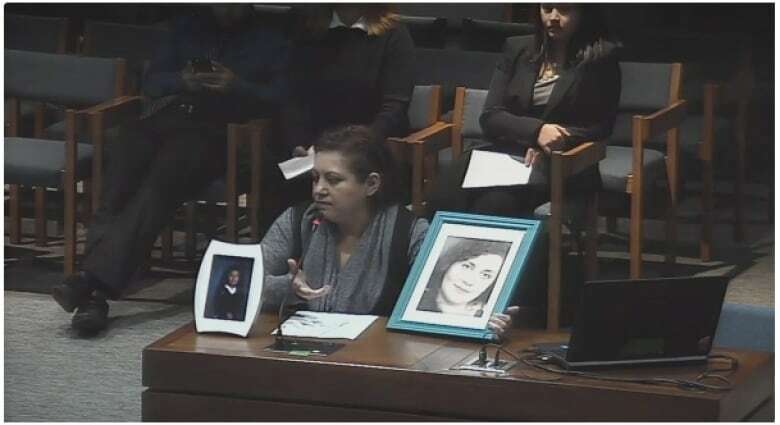 On Nov. 1, a little over a year after her oldest daughter's death, Olmedo spoke at a meeting of the Toronto Catholic District School Board (TCDSB) to plead with the board to get Automated External Defibrillators (AED) installed in every school — including Alizia's, which did not have one at the time. "We don't know when it's going to strike," Olmedo said. On Thursday night, just over a month after they heard Olmedo's story, the board agreed to supply every one of their 202 schools with AEDs. "We're elated that the board agreed to the funding," Rory McGuckin, TCDSB's director of education, told CBC Toronto moments after the vote. He says Olmedo's "heartbreaking" account of her daughter's death kicked the board into high gear. "Once we heard the story … we looked to find a way to put an AED in every school and we quickly went at it," McGuckin said. Of the 202 TCDSB schools, 94 already have AEDs installed from provincial funding offered up in 2011. All of the high schools and around 60 of the elementary schools have one. Now, the rest of the 108 schools will receive the equipment by the end of the school year in 2019. Staff will also receive AED training over March Break, and 10 additional first-aid training sessions will be offered throughout the rest of the year. 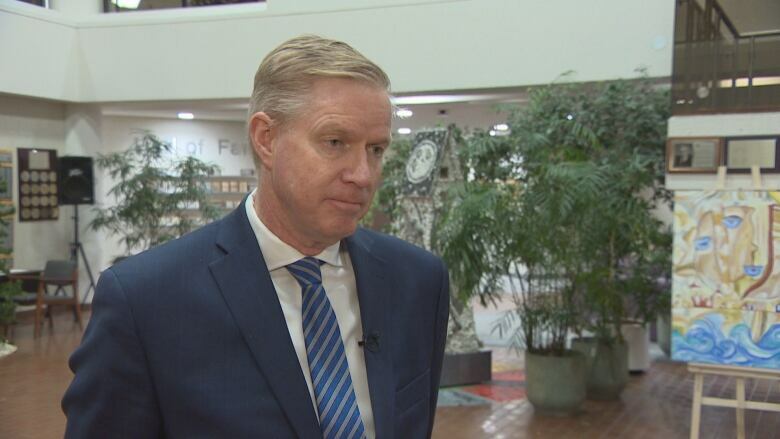 The total cost is expected to be $210,000, which will come from the Student Equity Reserve, because McGuckin says he believes having every school similarly equipped "is a matter of equity." However, board members say there could be a chance to raise funds for a portion of the expense.